Food in Rome, while unquestionably delicious, can be a daunting experience. With a pizza or pasta joint on virtually every corner, and among them many tourist traps, how difficult is to find the exceptional? Take a walk through Rome charming piazzas at twilight on the search for the best flavors in town. 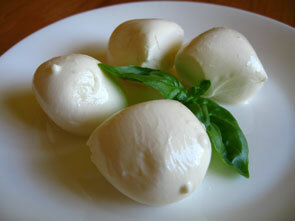 With an expert foodie as your tour guide, you will sample plenty of Italy’s fine delicacies-enough food for a dinner. Away from heat and manic traffic, take the chance to experience the magic of the Eternal City at dusk. 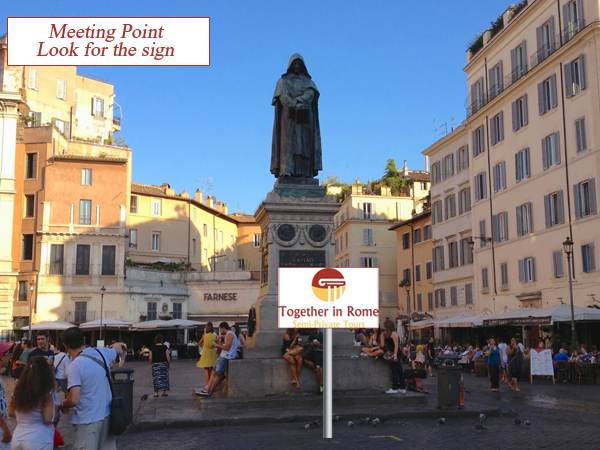 Our Rome Progressive Dining Tour is about indulging the senses, but our experience isn’t limited to food and wine. In between stops, enjoy an interactive city tour with informative and entertaining tour guide. Start in Campo de’ Fiori and learn about its use for public executions, then go on to admire the perfection of Michelangelo’s masterpiece Palazzo Farnese. Take amazing photos of Rome best preserved temple – the Pantheon; and to top it off be amazed by a sunset sight of the city’s Baroque jewel – Piazza Navona. Taste true Roman style pizza at Forno “Campo de’ Fiori” Roscioli, one of Rome’s finest bakeries dating back to 1972. 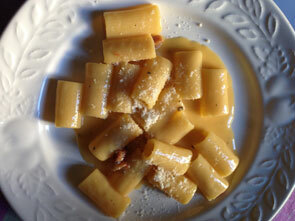 Learn about Rome’s ‘poor cooking’ Pasta dishes sampling Carbonara and Cacio e Pepe pastas sipping local wine or beer. Sample fine cured meats over a glass of Castelli Romani wine at Norcineria Viola, in Rome since 1890. Indulge in Rome most popular street-food: suppli. Enjoy tozzetti a typical after-dinner type biscuit from Tuscany. Finish up with gelato at one of Rome’s finest artisanal gelateria. In between stops enjoy some of Rome’s finest jewels of ancient, Reinassance and Baroque art. Your guide won’t leave without pointing out the best dining, bars, gelato, and of course….the way back to your hotel. *The Food consumed on the tour ranges from various types of pig meats to cheeses of both cow, sheep and goat milk.